The Wye Valley, an Area of Outstanding Natural Beauty. Criss-cross the Welsh and English border as you walk. Explore the remains of the 12th century Cisterican Abbey of Tintern. Here is where King Arthur ruled, the Normans settled and Turner sketched. Hay-on-Wye, famous as a book town & major crossing point of the River Wye. 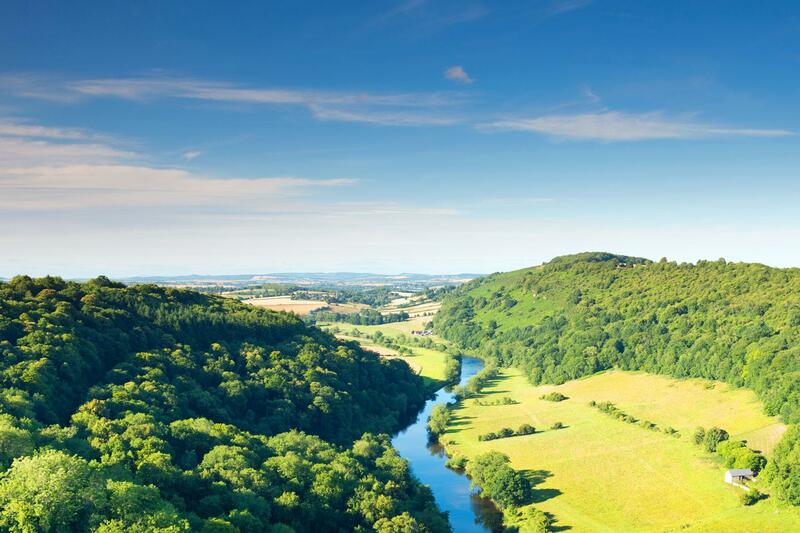 Walk the highlights of The Wye Valley amidst an enchanting blend of British landscapes. The Wye River criss-crosses the Welsh and English borders as it winds its way through scenic and tranquil countryside. The author George Borrow once described it as “the most lovely river, probably, the world can boast of”. As a border river it has an intriguing history with Iron Age Hillforts and a string of castles defending its boundaries. Today, it’s a place where grapes ripen, salmon leap, markets bustle and culture thrives, especially in Hay on Wye, a famous literary town. Day 1: Arrive Chepstow & overnight. Arrive in the delightful little town of Chepstow, which means Market Place in Old English. 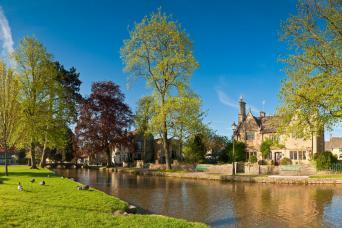 It is lined with handsome Georgian and Victorian buildings and has a stone wall that was built in the 13th century. Chepstow’s Great Tower, part of the castle, was commissioned by William the Conqueror just after the Battle of Hastings. Chepstow is in Wales, but just across the Wye River is England. Day 2: Walk to Tintern Abbey. Today’s walk takes you directly out of Chepstow and alongside the River Wye on the Wye Valley Trail through pretty woodland all the way to Tintern. 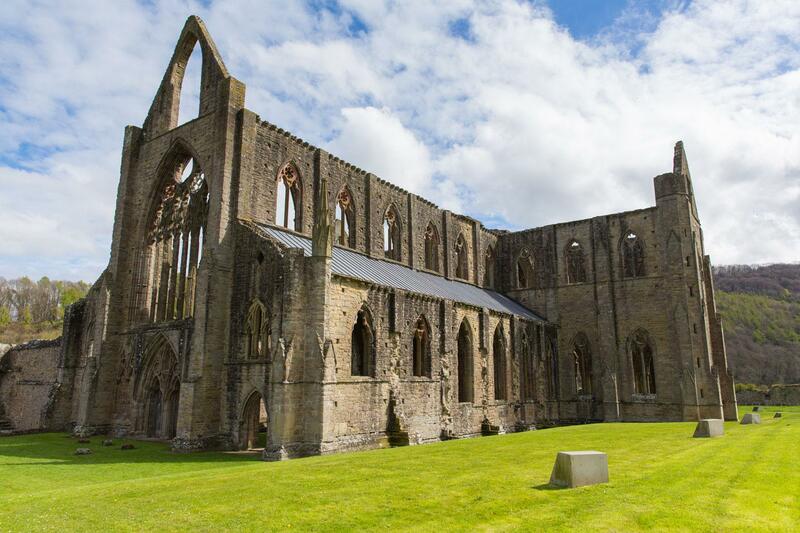 Once here take time to explore the Cistercian abbey, famed as the best monastic ruin in Wales. Begun in the 12th century it was ruined and covered in ivy until found again in the 18th century and made famous as a subject of a series of paintings by JMW Turner and poetry by William Wordsworth. Take a local bus back to Chepstow. Day 3: Local Bus to Tintern. Walk to Monmouth. After catching a local bus to Tintern (20mins), start today’s delightful walk to Monmouth. You will be walking along the Welsh side of the river as evidenced by some of the place names, such as Llandogo, Pen-Y-Fan and Coed Ithel. At times you walk alongside the river and at others through pretty welsh countryside of woodland and fields past farms and country houses. 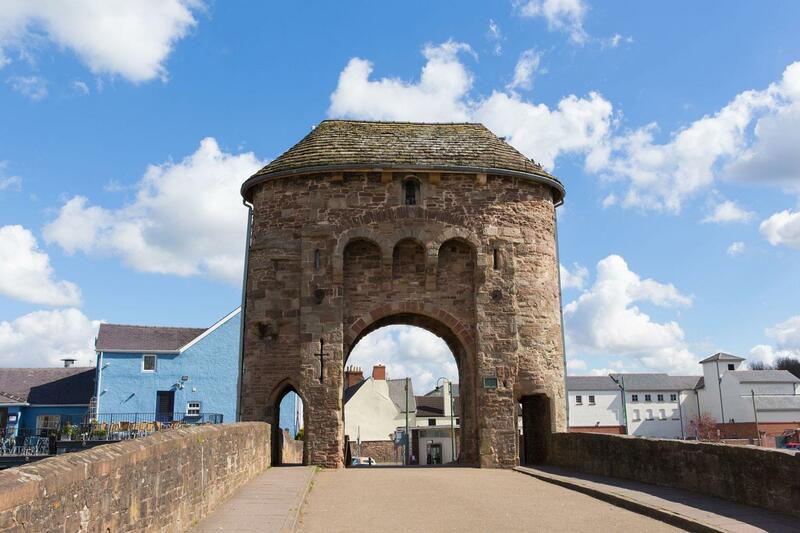 Arrive in Monmouth, a Welsh-border market town with a bustling main street, and best known as the birthplace of Henry V.
After a fortifying breakfast walk back over the River Wye and follow the Offa’s Dyke trail out into the countryside. Then ascend up to the Kymin, an area owned by the National Trust and from where there are exceptional views over the Wye Valley and the Black Mountains. On this walk you could even encounter wild boar in the woodlands! Follow the Highmeadow Trail before rejoining the Offa’s Dyke Path and walking back into Monmouth. This morning a transfer of 10 minutes brings you to Symonds Yat, from where you begin today’s walk. 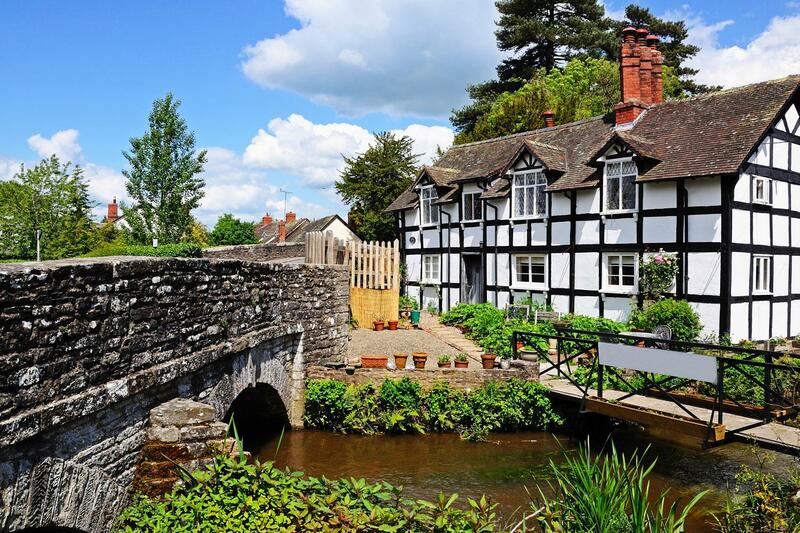 This well-known and pretty village straddles the River Wye and has pubs and quaint traditional houses. You will then follow the Wye Valley Trail all the way to Ross-on-Wye alongside the river and through woods, past pretty farms and even up Howe Hill from which there are some lovely views over the surrounding green and rolling countryside. If you arrive in Ross-on-Wye early there will be time to explore this market town perched dramatically over the Wye River Valley. St Mary’s Church has dominated its skyline for over 700 years and it’s a great little town to explore. After a transfer of 45 minutes set off from Bredwardine, featuring a brick bridge over the River Wye and a 17th century coaching inn. Make your way firstly to the Neolithic Tomb of Arthur’s Stone, which is marvellously situated on the narrow ridge of Dorstone Hill above the Golden Valley. 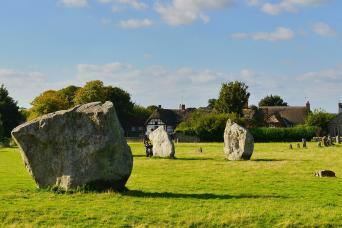 Nine upright stones remain and the capstone is 6m long weighing 25 tons. Day 8: Kilvert’s Clyro Walk or free day. 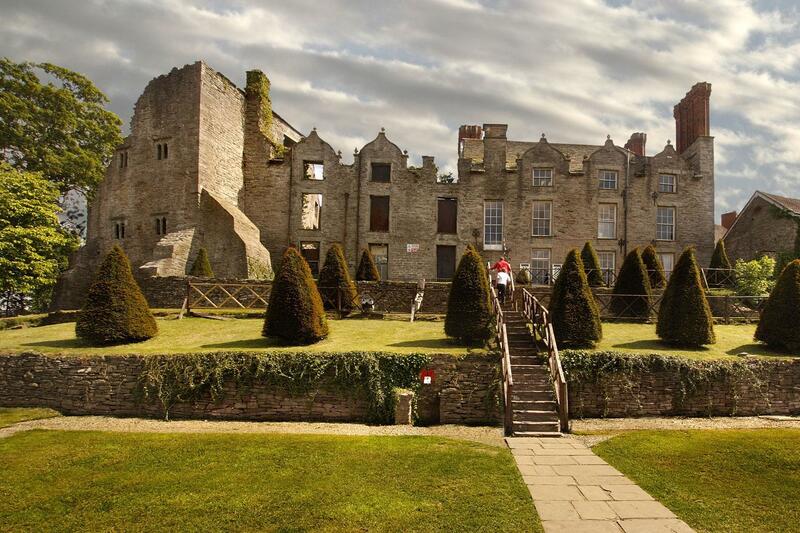 Hay-on-Wye is one of the highlight’s of this tour and you may wish to spend time exploring this delightful small town. 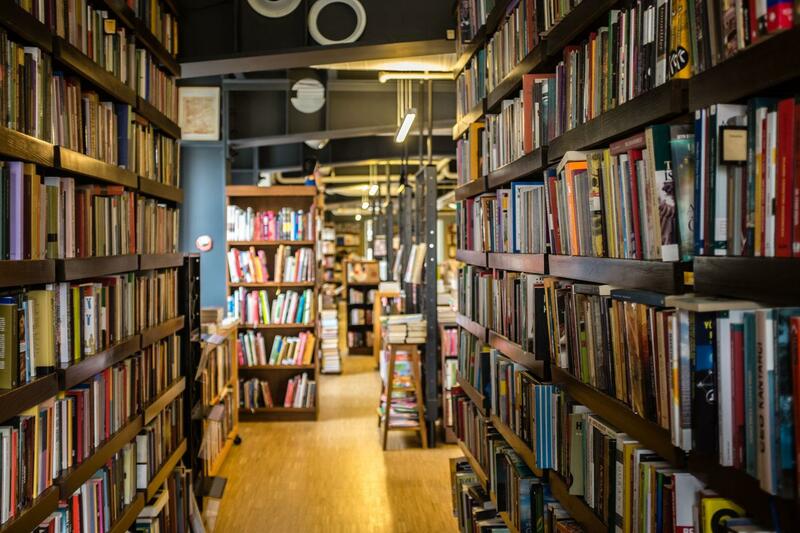 It is a border town situated on the edge of the Brecon Beacons and famous as a literacy centre, due to its numerous bookshops and Literary Festival that occurs once a year. Explore its turbulent history with a visit to its castle and its pretty cobbled streets. Alternately take a lovely walk to Clyro, a village whose claim to fame is where Francis Kilvert was living when he wrote his famous diary. 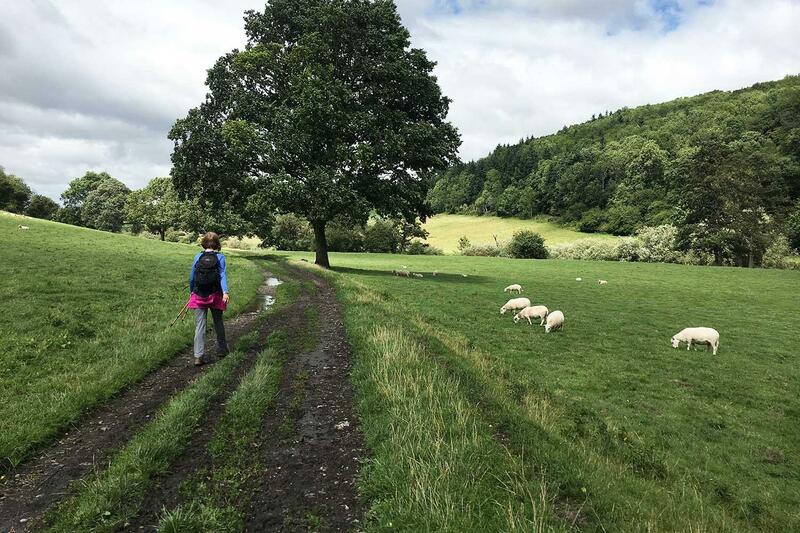 Head off out of Hay along the Offa’s Dyke path, then walk through peaceful country side to the village and back into Hay along the Wye Valley Trail. An included transfer brings you to Hereford Train Station, from where you can make your onward journeys. You will be staying in a combination of carefully chosen B&B’s, hotels and guest houses all located in characterful Wye Valley towns. If you require single rooms we would be happy to accommodate you although there is a single room supplement payable. We welcome solo walkers on this trip although you should of course take extra care in the outdoors when walking solo. We regularly use the following properties but may accommodate you elsewhere if these are not available. This charming 17th Century, ivy-clad 3 Star Hotel is situated in a prime location along the River Wye and directly opposite Britains oldest stone built castle. Ebberley house is situated in the historic town of Monmouth in an historic square. It has 2 comfortable en suite bedrooms with tasteful furnishings. This 42 bedroom hotel has very picturesque views over the Wye River and valley beyond. Steeped in history, relax in your very comfortable room. Situated right in the heart of Hay on Wye, this property is a Grade 2 listed house. Guest rooms are individually styled and all ensuite. This trip is available to start on any day of the week from April to October. Please note that due to the Book Festival in Hay-on-Wye this tour will not be available to book between the 19th and 29th May, 2017. This tour can be best enjoyed from April to October. You can start on any date that suits your travel plans, subject to availability. Part of the tour involves walking alongside the River Wye, which is fairly flat. However when you follow trails away from the river there are some elevation gains and losses to negotiate, but nothing too strenuous. The mileage per day is between 6 and 12 miles. There will be a variety of terrain, from lakeside paths to gravel tracks, to tarmacked country lanes and trails through woods and farmland. This tour is therefore rated easy to moderate. 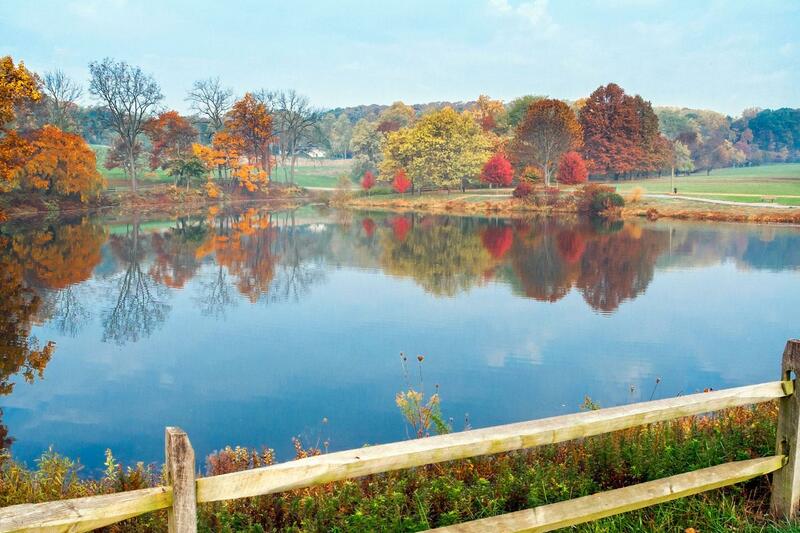 You will need to be in good physical fitness to fully enjoy this walking tour. At times the trails will be waymarked, especially when you are on the Wye Valley Trail or Offa’s Dyke footpath. When trails are not waymarked you can follow your detailed routes note and GPS data will be provided for you via the Macs Adventure App. Further information will be provided upon receipt of your booking. Your bags will be transferred from your accommodation as per your itinerary and moved onto your next overnight accommodation. We ask you to limit your luggage to one bag of up to 20kg per person. Chepstow has a railway station. If you fly into any of the London Airports you will need to make your way to London Paddington Station. From here you can take a train to Chepstow via Newport. The journey takes approximately 2.5H and the trains run every 30 minutes to 1 hour, depending on the time of day. You can also fly into Cardiff or Bristol Airports. If you fly into Cardiff you can take an airport express bus to the city centre and then a train from here to Chepstow, which run approximately every 30 minutes. Total journey time will be around 1.5 to 2H. If you fly into Bristol Airport you can take an Airport Flyer Express Bus to Bristol Temple Meads Station and from here a train to Chepstow. This train journey takes around 22 minutes and trains depart hourly. An included transfer will transport you from your accommodation in Hay-on-Wye to Hereford Railway Station. From Hereford you can take trails to Cardiff and to Bristol and London (via Newport). Journeys to London take approximately 3H, to Bristol. 1.45 to 2H and 1H to Cardiff. It will take longer to get to the appropriate airports however. You can check the following websites for travel information. Single room supplement if single room required. 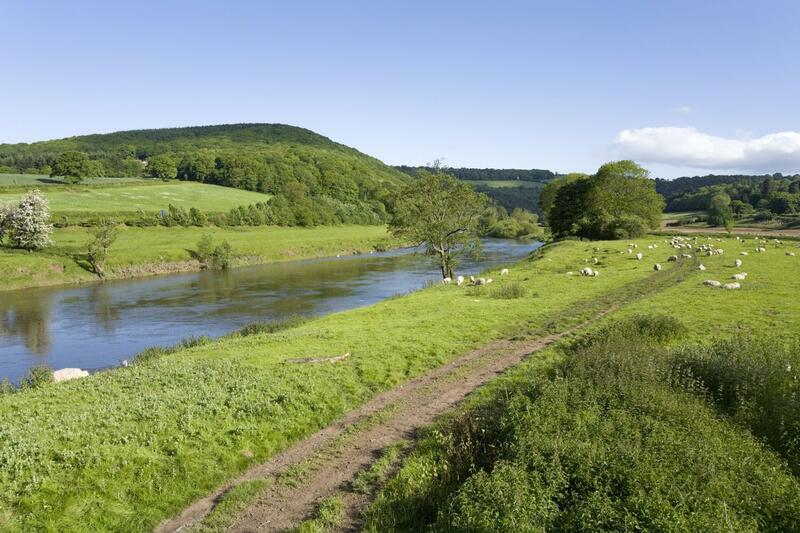 Part of the tour involves walking alongside the River Wye, which is fairly flat. However when you follow trails away from the river there are some elevation gains and losses to negotiate, but nothing too strenuous. The mileage per day is between 8 and 12 miles. There will be a variety of terrain, from lakeside paths to gravel tracks, to tarmacked country lanes and trails through woods and farmland. This tour is therefore rated easy to moderate. You will need to be in good physical fitness to fully enjoy this walking tour. As far in advance as possible! We suggest you book as soon as your plans are finalised as these areas are extremely popular, especially Hay-on-Wye. If booking at short notice, we will always try and accommodate your plans. What is the largest group size you could take on this trip? We would not recommend this trip for more than eight people due to limited accommodation. If your group is larger than this, please contact our Wales Destination and Adventure Sales Specialists for help in tailor-making your adventure. How do the baggage transfers work? All baggage transfers are included. We request that you have only one piece of luggage per person and it should weigh only 20kg. What happens if I can't walk a stage? You can use public transport or local taxis to continue to your next overnight stop. The Wye River Valley is wonderful, green, walking country. Chepstow, Monmouth, Ross and Hay are each nice little towns. The First Hurdle in Chepstow has a great pizza restaurant attached. The Ebberley House in Monmouth, an old B&B, the Hotel Royal in Ross, with full bar and restaurant and The Bear in Hay, with charming proprieters, are all very good, each in their own way. The walks occasionally require some care in route finding, as the trails are not always established paths. Day 2: Walk from Chepstow to Tintern Abbey (local bus back), 6 miles. Day 3: Local bus to Tintern. Walk to Monmouth, 10.5 miles. Day 4: Loop Walk via The Kymin, 9 miles. Day 5: Transfer to Symonds Yat. Walk to Ross-on-Wye, 12 miles. Day 6: Transfer to Bredwardine, walk to Hay-on-Wye via Arthur’s Stone, 11 miles. Day 7: Kilvert’s Clyro Walk or free day, 7.5 miles. This walking tour discovers the highlights of the Wye Valley with easy to moderate walks over the course of 8 days. 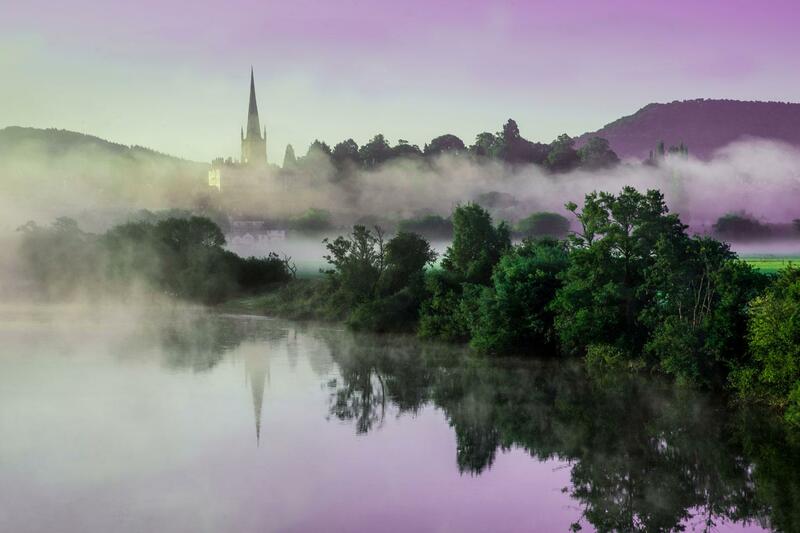 Stay in 4 popular towns and enjoy both borderland scenery and history as you follow trails alongside the beautiful Wye River, through a diversity of landscapes.